Christ taught that he is the only Master. We are all called to be disciples of Jesus Christ. For this reason many people imagine that they can follow Jesus on their own. But Christ commanded us to “make disciples.” We don’t make them into our disciples in the sense that we are their Masters. But as Paul put it, we must call them to “follow us as we follow Christ.” Christ makes disciples through the Church. A person that has not been discipled through the Body of Christ, has not been discipled by Jesus Christ. A person that insists he will only follow Jesus Christ and not submit to any man, is not following Jesus Christ nor submitted to him. We must not be afraid to obey the command to make disciples. Nor should we be so presumptuous as to make people into our disciples. We must teach them to follow Jesus Christ by following our example. We teach them to lean on us until we have shown them how to lean on Christ. The goal of discipleship is to lead the disciple into an obedient and dependent relationship with Christ. Discipleship that makes the disciple indefinitely dependent on us, is not biblical discipleship. And discipleship that never allows the disciple to depend on us, is also not biblical discipleship. There must be dependence to some degree on the disciple maker, but that dependence must be temporary. Discipleship must have an end. This doesn’t mean that discipleship to Christ has an end. On the contrary, we will be disciples of Christ for all eternity. Nor does it mean that submission to the authority of Church leadership has an end, this is a lifelong command given to everyone in the Body of Christ. But it means that once an individual knows how walk in Christ’s commands and maintain an obedient relationship with Christ, the goal of discipleship has been reached. He will continue to learn from Christ the rest of his life through the word of God, the Spirit of God and the people of God, but once he is mature, he is no longer in the process of being made into a disciple, instead he is a disciple. We are commanded to make disciples. This process is at an end when the person has become a mature, equipped and stable disciple of Jesus Christ. In the Great Commission (Matthew 28:18-20) Jesus tells us what our curriculum of discipleship is supposed to be. To make disciples we must first baptize them in the Trinitarian Faith. This means that we must teach people the content of the Christian Faith, and then lead them to repentance towards God and trust towards Jesus Christ. This is the road that leads up to baptism. But Christ goes onto tell us what we should teach them after their entry into the Body of Christ through baptism. He instructs us, “Teach them all that I have commanded you.” From this we learn that our primary curriculum for making disciples is the law of Jesus Christ. We are not called merely to teach people about the doctrines of Christianity, but we are called to train them to be obedient followers of Jesus. Discipleship that does not focus on and transform behavior as well as thinking is not discipleship at all. When leading people in the process of sanctification we must be willing to challenge attitudes, mindsets, habits and behaviors. If we do not address these issues we are not making disciples. If our time with the disciples consists only of answering their philosophical questions about biblical teaching, but doesn’t cause them to change their lifestyle, we are not fulfilling the role of disciple makers. The commands of Christ are the blueprint we are to use for building disciples, and the commands of Christ deal with motives, behaviors and mindsets, not just philosophic theories. You yourselves are our letter, written on our hearts, recognized and read by everyone. It is clear that you are Christ’s letter, produced by us, not written with ink but with the Spirit of the living God — not on stone tablets but on tablets that are hearts of flesh. Though the commands of Christ are our curriculum, this doesn’t mean that we simple teach people what Jesus commanded and call that discipleship. Only those that know how to walk according to the commandments of Jesus in step with the Spirit of God are qualified to make disciples. Sanctification is not a natural process of education, it is a divine process. We must know the ways of the Spirit of God in order to lead others in this process. We are co-laborers with God. 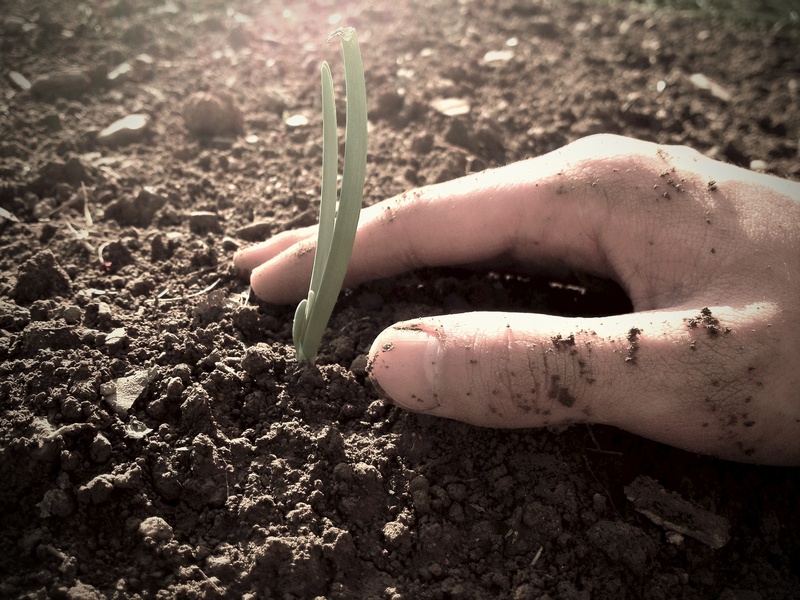 We must know the ways God works in people’s hearts, just as a farmer is well acquainted with seeds, soil and seasons. It is important that we know the word of God since it is what we are calling the disciple to submit to. This is comparable to the farmer’s seed. As disciple makers we are called to plant the word of God in people’s hearts until it bears fruit. Without a sufficient knowledge of God’s word we should not imagine that we will be effective disciple makers. For this reason we must make sure we ourselves spend every day meditating on the heavenly manna. Discipling people takes not only a knowledge of God’s word as our seed, but we must also know the nature of the soil, namely, human hearts. We must be aware of the hindrances that remain even in the born again heart. But knowing the nature of the born again heart is not enough, we must learn the specific issues that hinder the seed’s growth in the particular disciple. For this reason we must spend time with the disciple and deal with him not only as a born again convert, but also as an individual. We must take time to probe into his motives and habits in order to help him bear fruit in his salvation. Discipleship takes regular time together with the disciple. But a farmer does not just deal with the seed and the soil, he must also have a keen understanding of the seasons. He is not in control of the weather; he must understand its cycles and work in accordance with it. In the same way, we must always remember that God is in charge of sanctifying the human heart. Though there are certain methods to discipleship just as there are in farming, without following the guidance of the Holy Spirit we will not be able to be effective in the divine work of disciple making. We can’t merely learn God’s word, we must walk with God. We can’t merely learn about human nature, we must recognize how God is working in an individual’s heart and join Him in that process. Disciples are not a product that can be mass produced. Just as God forms each person in their mother’s womb, so He forms each disciple into the image of Christ. We must acknowledge that He is the true disciple maker, and we are merely his co-laborers in the process. We must follow God’s leading about when to show mercy and when to make demands. We must be sensitive to God’s guidance about when to speak up and when to remain silent. Making disciples is not comparable to mathematics, it is more like a dance. God’s wisdom and ways are not able to be put into a formula. His character and ways are not arbitrary so we can become more and more familiar with how He might work in any specific situation. But, we must never be so presumptuous that we imagine we grasp all of His ways and wisdom. For this reason we must always be in tune and listening to His Spirit. Only He truly knows the way to sanctify a soul, so we must be careful to follow His lead at every step. We have noted in previous lessons that Christians do not knowingly practice habitual sin. Christians do not consciously disobey Christ’s commands on a regular basis. If one is practicing willful sin on a habitual basis, this is clear proof that they have not yet repented of their sins, or that they have turned away from Christ back to rebellion. When we see such behavior in someone we are discipling, we must address the issue. If we refuse to address the issue we are condemning their soul and putting ours in danger as well. We are called to bear the burden of one another. To leave deadly sin unrebuked is a sin. We must warn them according to the Scriptures that God is not mocked, grace is not a license for sin, and according to Romans 6:23 the wages of sin is still death! It is true that we are reconciled to and remain in right standing with God through faith in Christ, but we must remind rebellious disciples that our faith is going to be judged by our works. Those that live in habitual, willful sin are not walking in saving faith. They might truly believe they were forgiven, they might even imagine that they have the witness of the Spirit, but Jesus makes it clear that a tree is judged by its fruit. The disciple must be stripped of all his false assurances through the preaching of the warnings of Scripture. 1 John 2-3, Hebrews 6 and 10, Galatians 5-6, Ephesians 4-5, Matthew 7 and 1 Peter 1 are good passages to start with. Jesus rebukes those whom he loves, and so must we. Other disciples will find themselves falling into sin, but not on a regular basis. Besides giving them practical guidance about how to avoid falling in the future, we also must comfort their hearts with the gracious promises of Scripture. An over presumptuous heart is dangerous, but so is a heart filled with despair. Presumption can lead to sin, but so can discouragement. 1 John 2-3 is a good place to start with those in presumptuous sin, but 1 John 2:1-2 is a good place to start with those in despair. My little children, I am writing you these things so that you may not sin. But if anyone does sin, we have an advocate with the Father — Jesus Christ the Righteous One. He Himself is the propitiation for our sins, and not only for ours, but also for those of the whole world. Here we see clearly that the Christian is free, and does not need to live in defeat. The epistle was written so that we would “not sin.” These verses do not say “when” we sin, but “if” we sin. So it is clear that the discouraged disciple can be free. However, there is great comfort in the word, “but.” In this little word the disciple can find hope. It is possible for a Christian to willfully disobey God. And what follows is even more comforting. “If” a Christian sins, this does not mean he has lost his salvation and has been cut off from Christ. On the contrary, he has an advocate with God, his Savior Jesus Christ. God has made a covenant with us through the sacrifice of Christ. Through him we have received forgiveness and reconciliation. Though we are no longer bound to sin, “if” a Christian sins, they are still in the covenant with God. Compare this covenant with the marriage covenant. There is no reason married couples need to argue. God has made them one and they can live in unity by His grace. But if they argue, this does not mean they are immediately and automatically divorced. No, the covenant is much stronger than that. In the same way “if” a believer sins, he is not immediately cast out by God. This doesn’t mean there is no danger for the couple that argues. If they continue to argue and refuse to be reconciled, their bitterness will eventually lead to separation and divorce. But that is not an automatic result of arguing. They have the choice to continue in bitterness or choose reconciliation. In the same way a disciple that chooses to continue in rebellion will eventually choke out saving faith and be cut off from the covenant in Christ, but this is not an automatic or immediate result. It takes a hard heart that is willing to continually resist the convicting of God’s Spirit. When these truths are presented to both the presumptuous and the discouraged disciples, both will generally ask, “But how far is too far?” The presumptuous disciple asks this because he wants to get away with as much as he can. And the discouraged disciple asks this because he fears he has already crossed the line. Both should be told that only God knows the line, and it is our business to stay as far away from the line as possible. We can further encourage the despairing disciple that if he had crossed the line, he would not be so worried that he had crossed it. When one crosses the line the Spirit of God will no longer convict him but will hand him over to his own sinful desires. So the fact that the discouraged disciple is still fearful, is a good sign that his heart has not been hardened beyond repair . On the other hand, the presumptuous disciple should be humbled with the fact that it is indeed possible that he has crossed that line and been hardened to the Spirit’s warnings. He should be warned to humbly and persistently ask God to have mercy on him and grant him repentance. We must know how to humble the proud and encourage the humble in discipleship. This is the way God deals with people. Knowing when to apply which technique is just one of the many areas that we as disciple makers need to grow in wisdom and sensitivity to the Spirit of God.